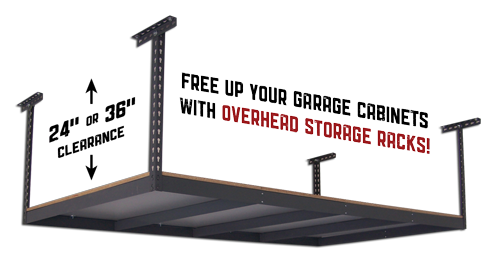 Let us help you create tons of overhead storage in your garage. Live more organized today! 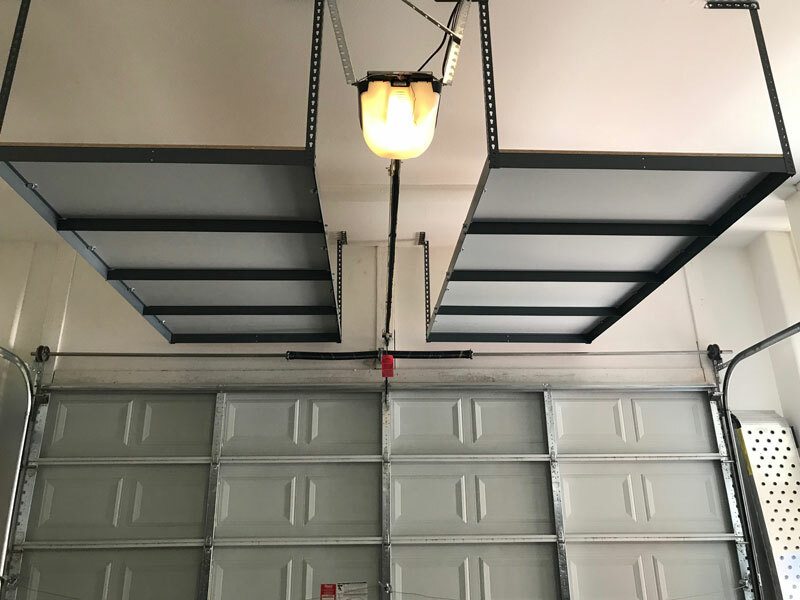 Our Bigfoot overhead garage storage racks are the strongest, most versatile ceiling mounted garage storage racks on the market. Overhead storage racks can give your family tons of storage space in the garage, allowing you to finally be able to park both cars inside. 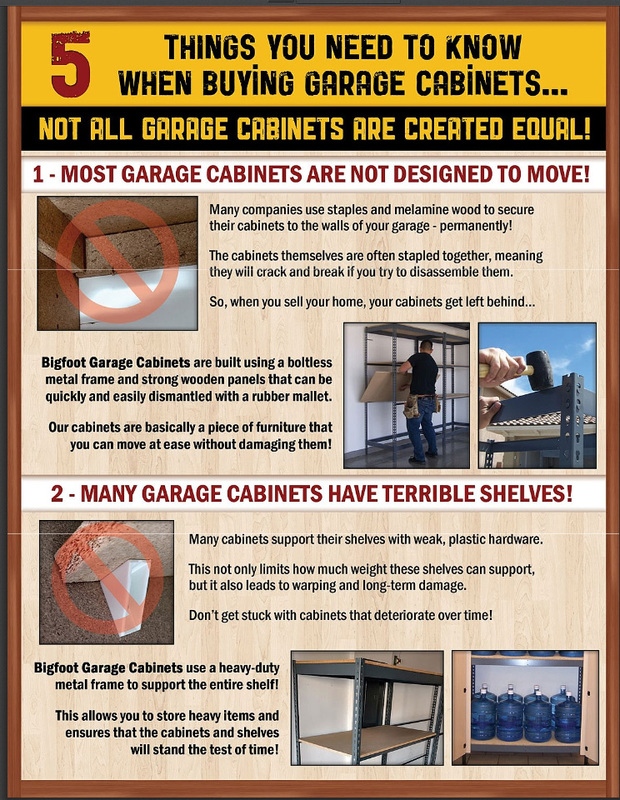 A great place to store over-sized items and holiday items keeping them off your garage floor, and safe from being trampled. 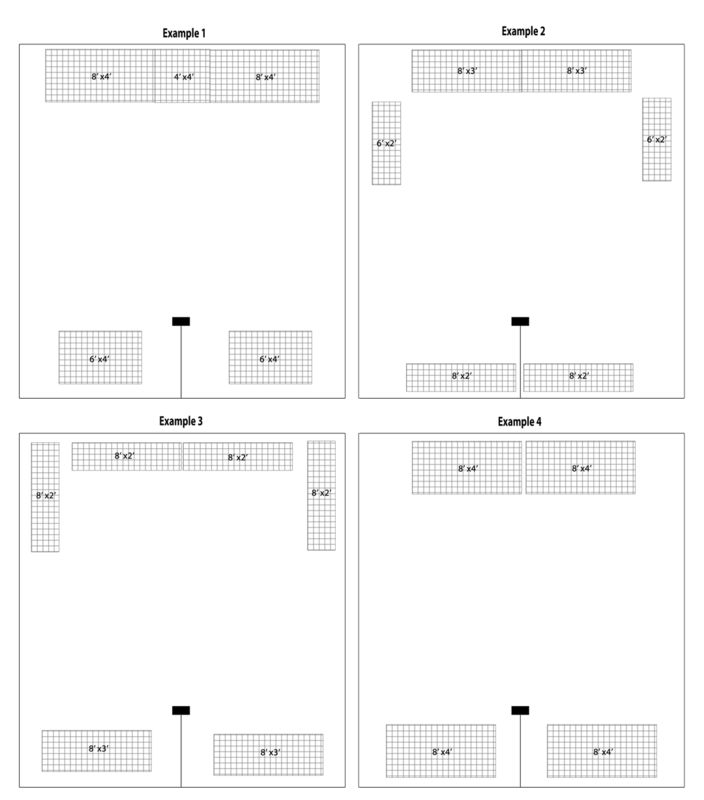 Start utilizing your garages wasted space above your cars! ​Our overhead storage racks are made from top-of-the-line industrial-strength racking materials. Our overhead garage storage racks available in beige and gray. ​Our racks are come with 5/8 inch melamine finish wood. 4 colors to choose from. Fast, Easy and Affordable Create Tons a Storage Space on Your Garages Ceiling. Helps your family live more organized. Bigfoot garage storage racks are compatible with our Bigfoot garage cabinets! As matter of fact, they go hand-in-hand. There's tons of overhead storage space in most garages and that's why our best-selling package deal. This deal includes: 2 Bigfoot garage storage racks that are 4' x 8' and 1 Bigfoot garage cabinets 8' x 6.5' x 2', with your choice of traditional or deluxe sliding door [coming soon] model for only $1089*. 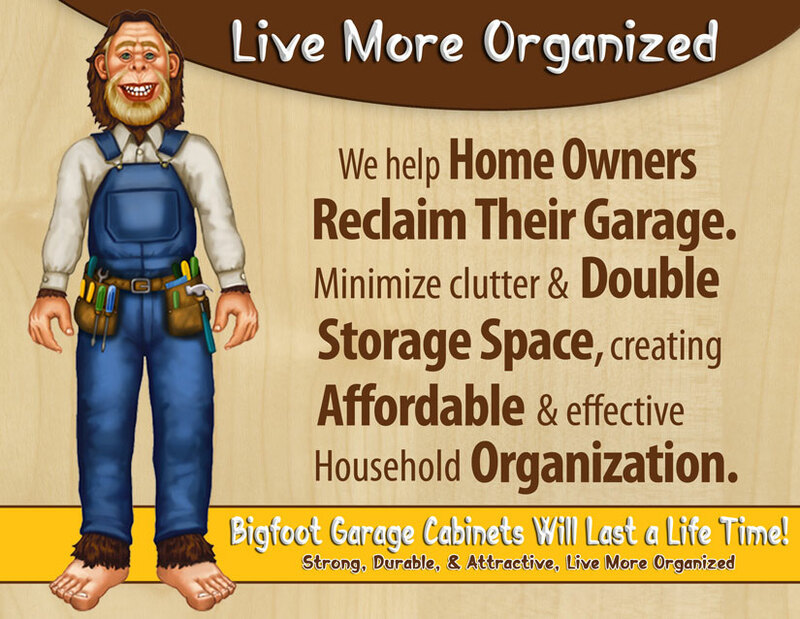 This package gives you the best of both worlds you with your new Bigfoot Garage Storage Racks, you'll have plenty of storage for bulky items (like holiday decorations) and rarely used items. 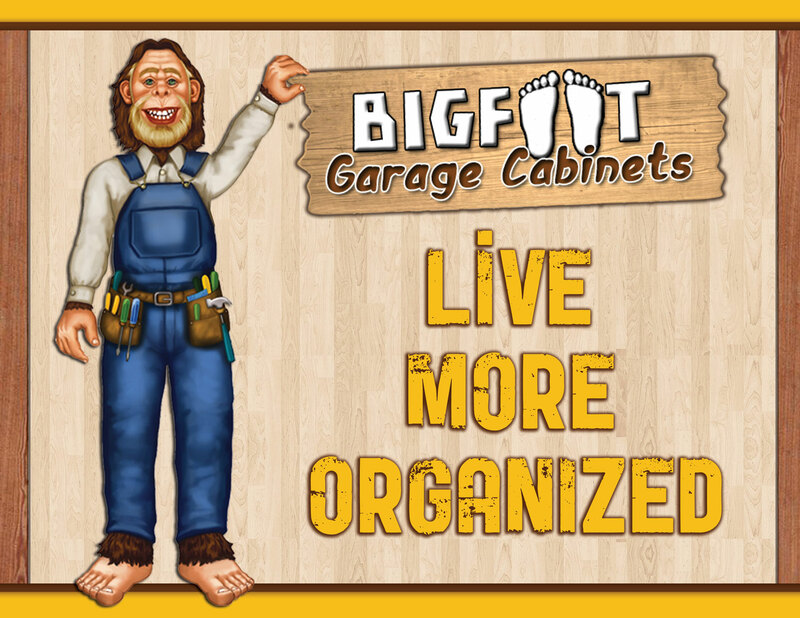 You'll now have room for things you use most often in your home with your brand new, 8' x 6.5' x 2' Bigfoot Garage Cabinet. 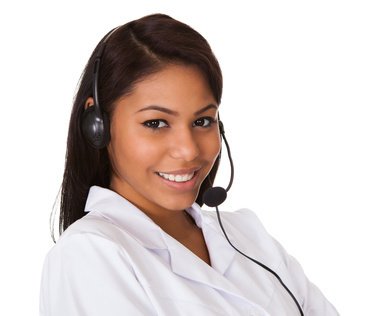 You'll find many samples of what we can do in a 1 car garage,2 car garage, 3 car garage.